By definition, an ulcer is a break in the continuity of the epithelial lining of an organ while a stricture is an abnormal narrowing and loss of distensibility of a tubular structure. Ulcers and strictures are part of the gastrointestinal complications of gastric sleeve surgery; a restrictive operation that has become the most commonly performed weight loss surgery in the United States. Obesity with its associated disease conditions is a growing problem among adult and adolescents both in the developed and low-income countries. The quality of life is significantly affected, and the risk of death is higher than in the general population. To lose weight and reverse the disease conditions associated with obesity, weight loss surgeries have become the most preferred treatment modality. However, one must prepare for possible complications that may follow these operations. The notch on the lesser curvature of the stomach at the junction of the body of the stomach and the pyloric antrum is known as the incisura angularis, and it is the most frequent site of stricture following gastric sleeve surgery showed an incidence rate of 3.5% in 230 patients that had gastric sleeve surgery. The cause of restraint immediately after surgery is inflammatory edema (swelling) around the region while the late presentation is the result of fibrosis (scar formation) around the incisura angularis. Risk factors include calibration of the sleeve over a narrow tube or over-sewing of the staple line. 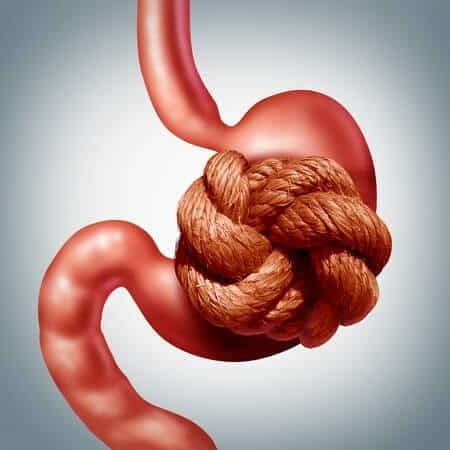 Most strictures occur during the first three months of surgery and patient often presents with food intolerance, difficulty swallowing, nausea, and vomiting. The diagnosis is confirmed by a barium study or upper gastrointestinal endoscopy. For early postoperative presentation, the treatment includes resting the stomach by not taking anything orally, intravenous fluid to prevent dehydration. The symptoms are expected to resolve as the inflammatory edema subsides. Dilatation of the narrow area by endoscopy may, however, be indicated if the above conservative treatment failed. For a chronic presentation, the treatment is endoscopic or surgical dilatation depending on the length of the narrowed segment. For a short segment stricture, an endoscopic balloon dilatation is the treatment of choice. More than one sessions of balloon dilatation may be required. Laparoscopic or open surgical dilatation is indicated for a long segment stricture and when endoscopic dilatation has failed for a short segment stricture. Failure of dilatation may require a gastric sleeve revision surgery. An ulcer is another complication that may occur after gastric sleeve surgery. The lining of the stomach along the staple line may ulcerate leading to burning epigastric pain, nausea, and vomiting. Certain conditions can precipitate the development of gastric ulcers and aggravate the symptoms; these include the use of non-steroidal anti-inflammatory drugs (aspirin, ibuprofen, diclofenac, etc. ), smoking, and alcohol intake. Those whose stomachs contain bacteria called Helicobacter pylori before surgery are also prone to developing gastric ulcers. Diagnosis may involve visualization of the interior of the stomach (pouch) through an upper gastrointestinal endoscopy. Prevention is by avoiding all precipitating and aggravating food substances. Antacids and drugs that reduce acid production in the stomach are the mainstays of treatment. Parikh A, Alley J, Peterson R et al. Management options for symptomatic stenosis after laparoscopic vertical sleeve gastrectomy in the morbidly obese. Surgical Endoscopy. 2011;26(3):738-746. doi:10.1007/s00464-011-1945-1. Joo MK. Endoscopic Approach for Major Complications of Bariatric Surgery. Clinical Endoscopy. 2017;50(1):31-41. doi:10.5946/ce.2016.140.